Compared to following the latest fashion trends, adopting a classic, minimal style is so much harder. It may seem like a breeze, but paring down your wardrobe to basics without making it look boring can be a tough task. Putting together an outfit that has clean lines, sleek silhouette, and a perfect combination of colors entails some serious curation. In fact, the typical tip “keep it simple” may not be so simple after all. This non-color will always be a classic and if you don’t have much time to coordinate a well put-together look, you can just throw in black on black. Rising star Maris Racal knows how to take her outfit from day to knight with this easy minimal styling trick. Go monochromatic and wear one key item as highlight. 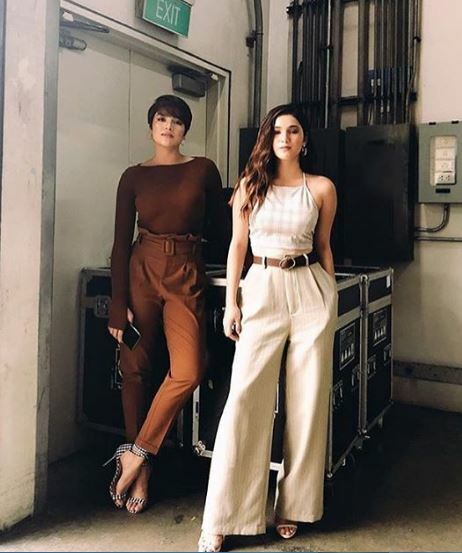 Fall dressing never looked this good as Jane Oineza and Barbie Imperial went twinning in color coordinated outfits. Jane took her style up a notch with a statement black and white striped strappy heels, while Barbie accessorized her look with hoop earrings and a matching brown belt. 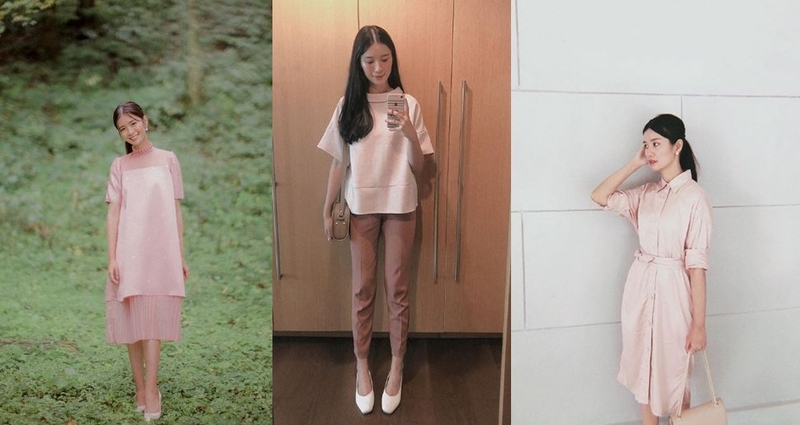 Tricia Gosingtian-Gabunada’s signature minimalist style is the perfect example for this as she often prefers light textures and colors that are easy on the eyes, and it looks fresh and effortless. Denim will always be a good idea. Whether it’s dressed up or dressed down, denim outfit or jeans is a no-fail piece that you can use over and over. Julia Barretto knows how to change it up or keep it basic with her denim staples. Make your look interesting with stripes. Keep everything else simple while adding a touch of easy stripes just like Sofia Andres. Invest in a sophisticated matching suit. Whether you’re going to work or to an event, power dressing will surely turn heads. Check out Marie Lozano’s stunning look!